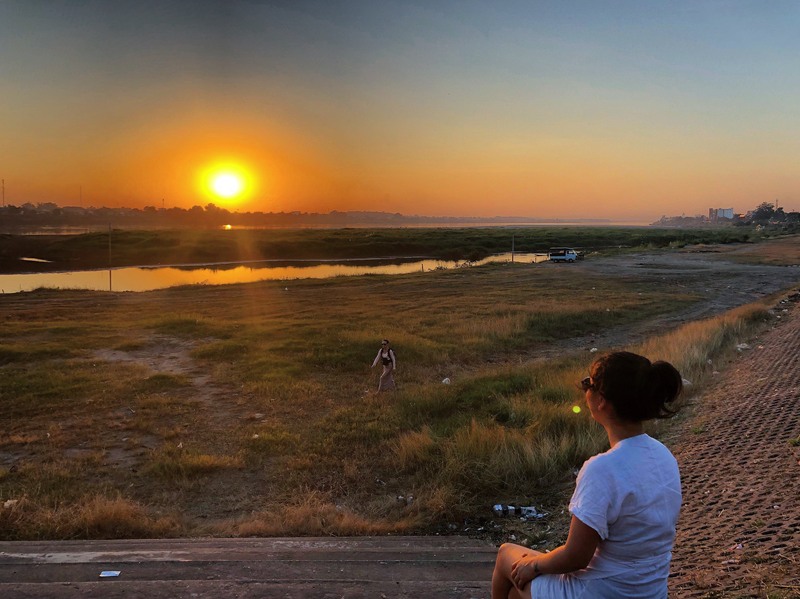 Just before Christmas on Dec 22nd I flew from Sydney to Laos via China into the capital city called Vientiane, a brand new city never seen before. yassss! 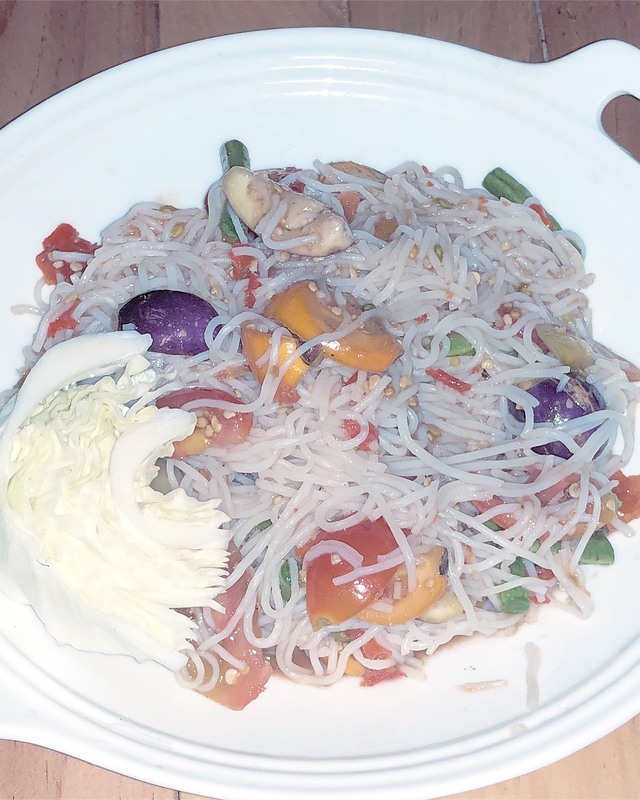 First thing after checking into my hotel at Ali Backpackers which cost 25USD a night, I set off for food and tried the papaya salad with vermicilli for the first time, normally I just have papaya with sticky rice which is a traditional Laotian dish. 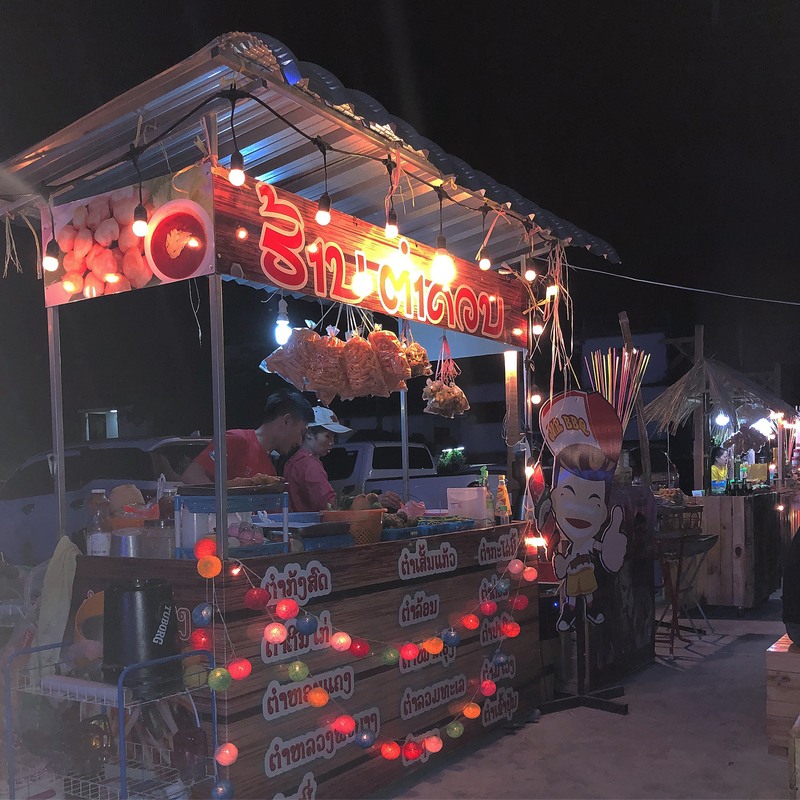 This is the vendor where I bought the papaya vermicelli for12,000 kip. 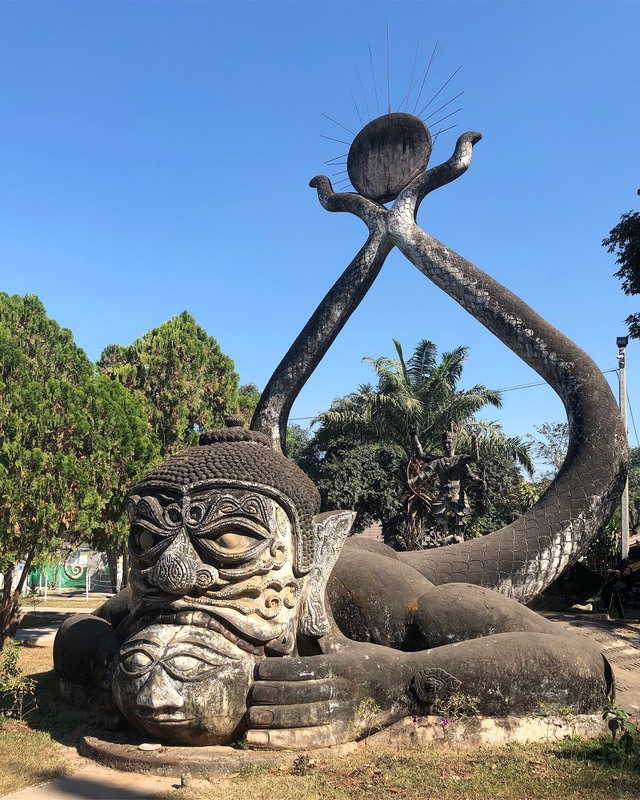 I didn’t have an itinerary with the intention of just winging it I went to reception of the hotel and saw a picture of Buddha Park and decided thats where I am going to go today, then asking what was the cheapest way to get there, with a traveller responding 6,000 kip by bus. OK! 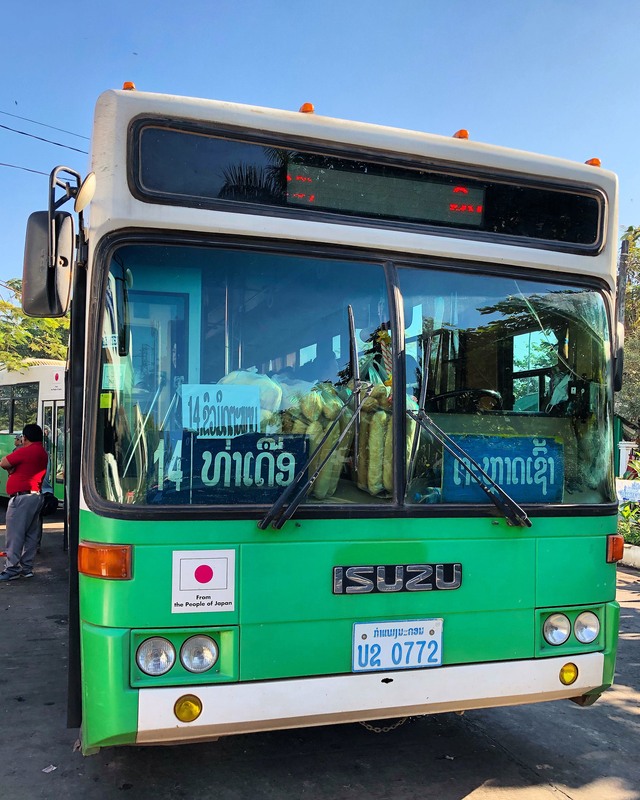 I was given quick direction by the hotel to find bus #14 at the Central bus stop, and along the way I asked about 2-3 people who spoke no english but understood ‘bus stop’ and would use hand gestures to point in which direction to go, about 30 minutes later I found the Central bus stop. hooray!! 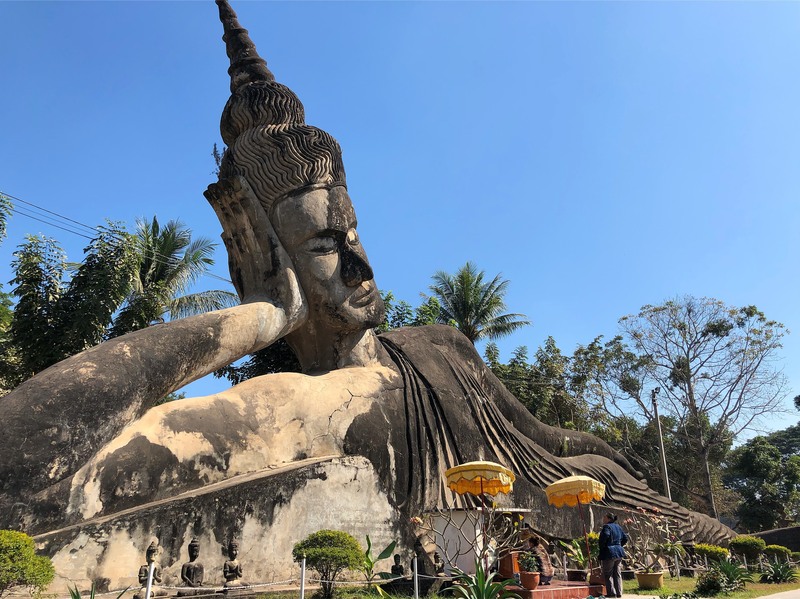 But I still had to find bus #14, asking another 2 people ‘bus to Buddha Park’ and with more hand pointing gestures I saw bus #14. and I knew an adventure was about to begin 🙂 It was packed and a little hot inside but I managed to get a seat. So you don’t pay the driver when you board, a lady (normally) goes around just a little after the driver begins and collects payment for the trip. The bus journey took approximately 50 mins and there is an entry fee of 5,000 kip. 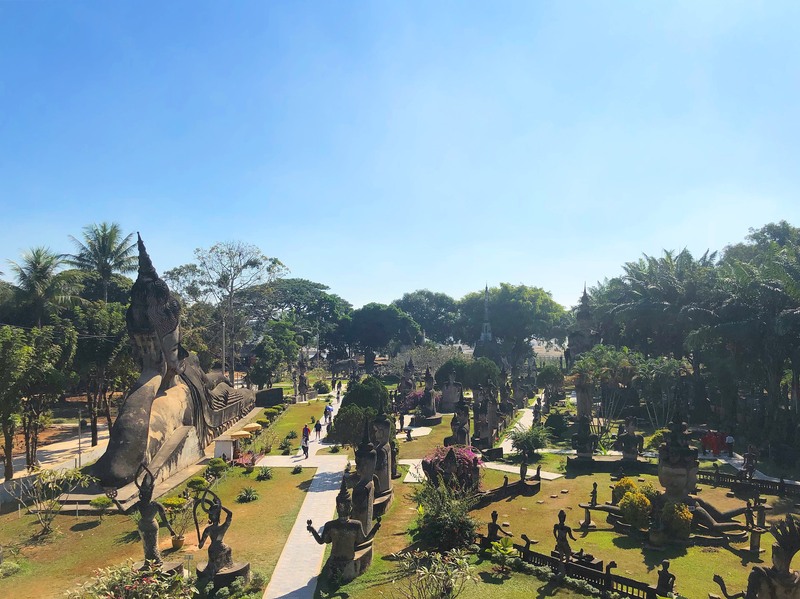 Buddha Park (Xieng Khuan) has hundreds of religious sculptures including a reclining Buddha, you can also go up on top of the pumpkin sculpture for the best view of the park. 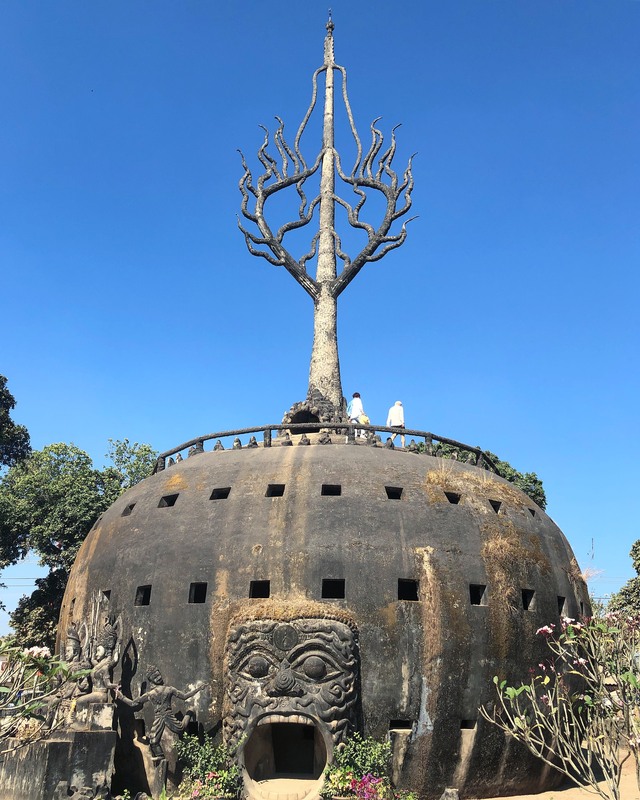 Below are some images of Buddha Park (will soon put up a video of the park). The adventure was worth it! 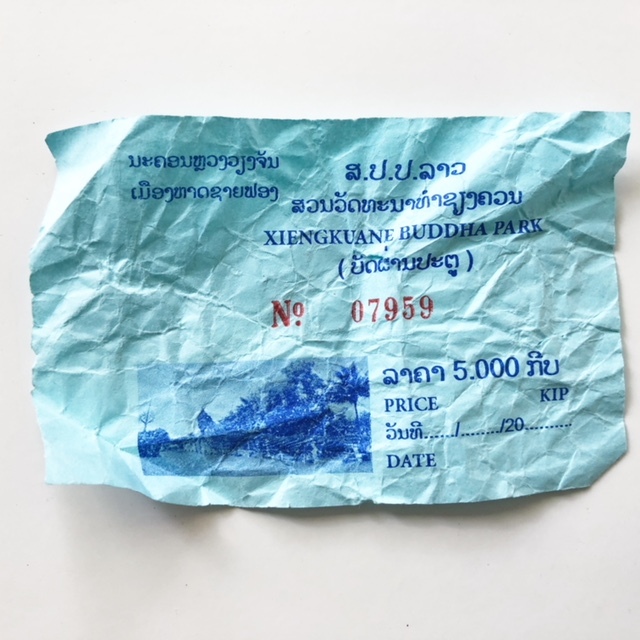 The bus stop to get back to Vientiane Central bus stop is right across the park and it cost 6,000 kip. In the evening, I caught the sunset at about 5:20pm, the perfect end to an awesome day!